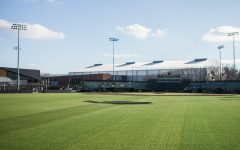 Iowa’s newcomers have played a key role this season, and they will continue to do so as Iowa faces Northern Illinois today. 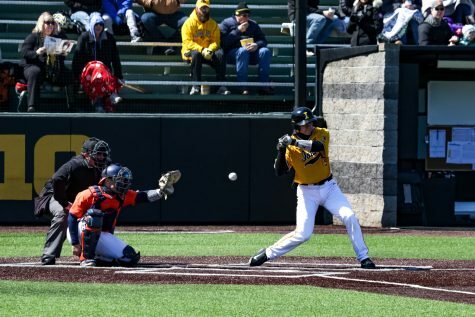 Iowa catcher Austin Martin scores during a baseball game between Iowa and Cal-State Northridge at Duane Banks Field on Saturday, March 16, 2019. 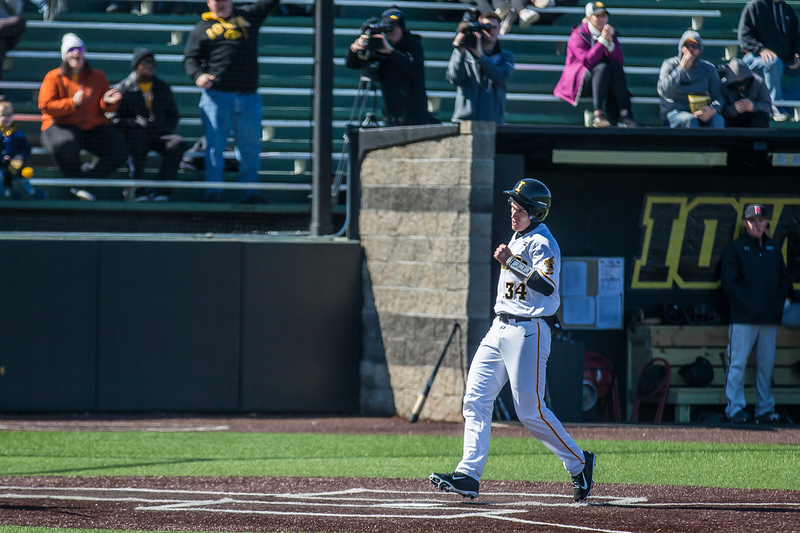 The Hawkeyes dropped their home opener to the Matadors, 8-5. 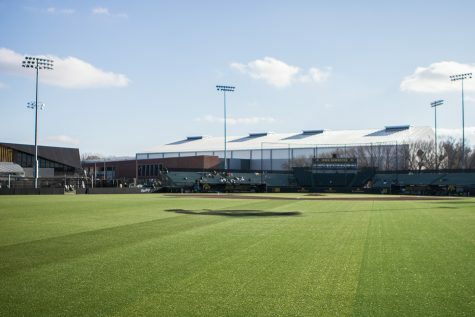 Iowa entered the 2019 season depending on its newcomers. 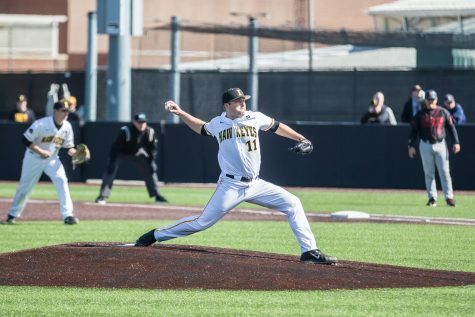 After all, its top two hitters, Robert Neustrom and Tyler Cropley, were selected in the top eight rounds of the MLB Draft, forcing the new Hawkeyes to step up fast. 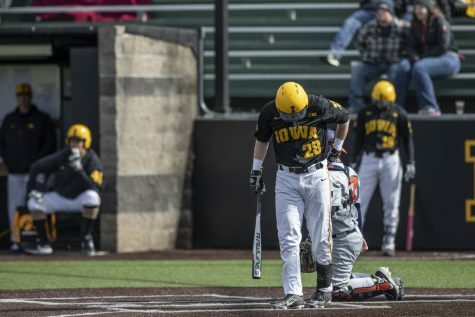 They’ve done that so far, helping Iowa to a 20-14 record and a 7-5 mark in Big Ten play, including a 7-2 stretch in its last three conference series. 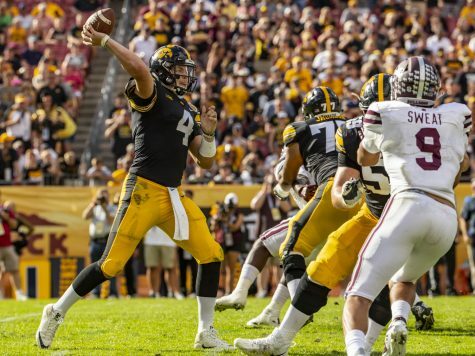 Because of the effect they have had on the season so far, The Daily Iowan took a look at the newcomers who will continue to play a key role for the Hawkeyes against Northern Illinois today and beyond. Martin has been Iowa’s most consistent force at the plate this season by far. The Southeastern Community College transfer enters the matchup against the Huskies slashing .328/.412/.457. 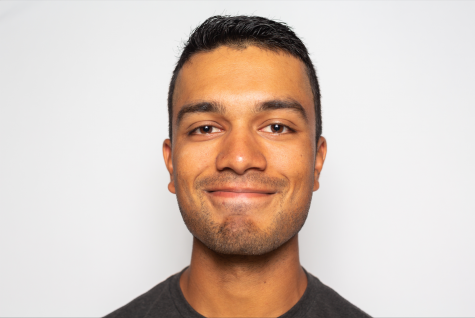 His average ranks first on the team among those with at least 40 at-bats. Martin has also been solid with runners in scoring position, knocking in 19 runs while crossing the plate 22 times. 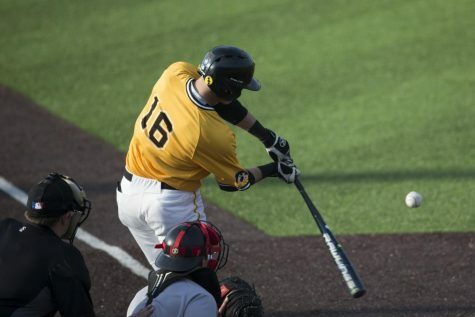 The Altoona, Iowa, native leads the Hawkeyes with 13 multi-hit games and 6 multi-RBI games. While his offensive production has certainly been impressive thus far, he has been just as solid behind the plate. Starting 30 of 34 games at catcher, Martin boasts a .988 fielding percentage, committing only 3 errors on the season. 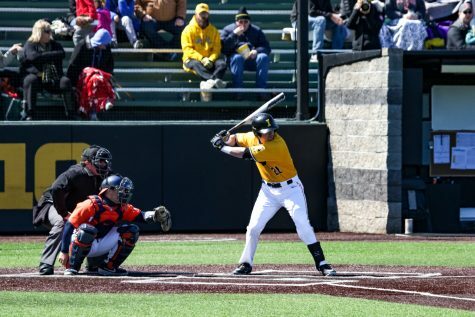 Because he is used often by Hawkeye head coach Rick Heller, Fullard has been the next best new bat in the lineup after Martin. In his 29 starts, Fullard has logged a .278 average. 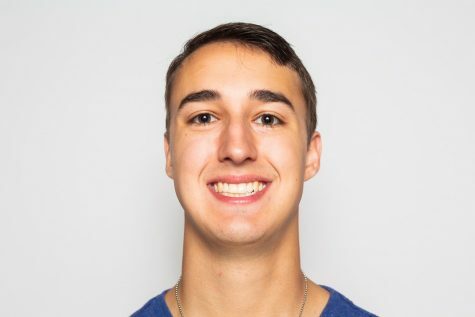 Zeb Adreon and Tanner Padgett are right up there with Fullard, posting .286 and .385 averages, respectively, but they have only combined for 102 at-bats, and Padgett has battled an injury for most of the season. 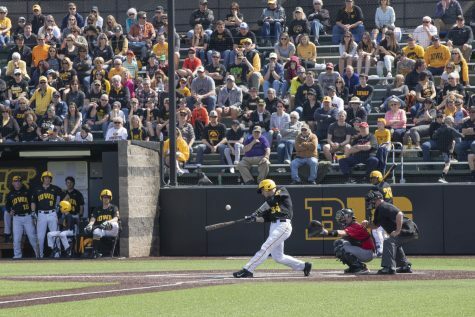 Despite clubbing only 2 home runs on the season, Fullard has displayed power at times, clearing the scoreboard at Banks Field with a 3-run shot against Rutgers on April 5. 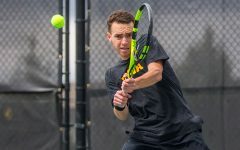 After a season at Kirkwood Community College in which he earned first-team Juco Division-2 All-American honors, Fullard has made a quick transition to Division-1 ball. If he keeps it up, the Hawkeyes could be set up well for the future. 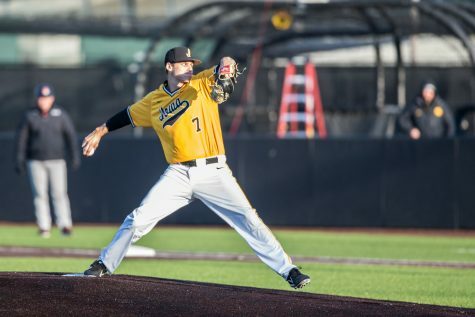 Hoffman played junior-college ball with Martin at Southeastern, where he earned first-team all-conference honors as a reliever after leading the nation with 13 saves. 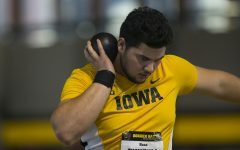 And just like his teammate, he has made a smooth transition to the Hawkeyes. Hoffman has been Iowa’s most called upon reliever, logging 19.2 innings in a team-high 17 appearances. Although his 5.03 ERA won’t blow anyone away, it’s clear he has the trust of his coaches, evidenced by his sheer number of appearances. That could be a result of Hoffman’s command. In his 19.2 innings, he has only walked 5 batters while striking out 19. He has also shown he can keep opposing batters off balance, holding them to a combined .237 average. 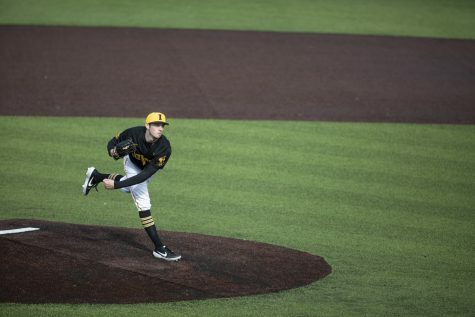 If Hoffman can build on his solid junior campaign, the Hawkeyes could have another reliable arm out of the bullpen to complement closer Grant Leonard.